"This is an emergency! I bought a used car Thursday and the engine exploded. I need to return it and don't know if my three days run out Sunday or Monday!" 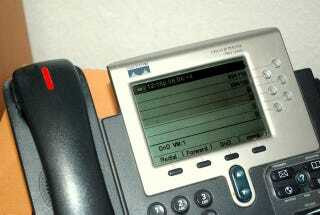 When I first see my office phone on Monday mornings the voicemail light is often on, indicating that someone called and left me that message on Saturday or Sunday. It happens far too often. There are limited occasions where you have three days to cancel a contract. They are usually those times where you were subjected to unusual stress or unexpected salesmanship. The best example in Michigan is where a salesperson comes to your door and sells you something in your own home. The Home Solicitation Sales Act says that they must give you a written notice telling you of your three-day right to cancel and then – you have three days to cancel. If they do not give you that notice, the three-day period never starts, meaning that you can cancel anytime (and if they give you the notice late the three days starts to run when they give you the notice). The Three Day Rule that affects the most people is one promulgated by the Feds. The Federal Trade Commission rule does the same thing as the Michigan example I cited but would apply across the whole land. There are other "cooling off" periods but, again, the examples that come to mind are unusual, do not involve cars, and usually have a notice provision where you will be told of the right. This concept is even found in other countries as one reader pointed out to me. How long do I have to rescind? When does the right of rescission start? For some odd reason, people have heard of situations like these – which make total sense – and then contorted the concept into a universal Get Out of Jail Free card. My recent post on Purchase Agreements drew several responses from readers who told me that my advice was fine but the Three Day Rule kind of negated everything I said . The misperception of the rule is so widespread the US Government mentions it on USA.gov. "According to the FTC, the 3-Day Cooling-Off Rule does NOT apply to the purchase of new automobiles . . ."
As I do whenever someone brings this "law" up, I will add this comment: If you believe the three day rule (allowing for the cancellation of ANY contract for ANY reason) exists in your state, please find the citation for the statute and email it to me. I would like to print it out, frame it and put it on my wall. All laws exist somewhere and nowadays, they can be found on the interwebbly. Or so I am told. Here is where you can find Michigan law. And before you tell me that you cannot find the statute but you are still pretty sure you are right, think about the following scenarios: Are these possible under your imaginary law? - You buy a lamp at a garage sale but later decide you paid too much for it. Can you go back three days later and demand a refund? - You buy a used car off of Craigslist and decide you don't like the color. Does the seller have to refund your money and take the car back (within three days)? - You order dinner at a restaurant and change your mind when it arrives even though nothing is wrong with it. Do they have to take it back no questions asked? Whenever I ask people questions like these they tell me, "The law wouldn't apply to that -" as if they know the nuances of the law, despite not being able to show me a copy of the law itself. Does the law contain a list of exemptions for the examples I cited, or does it just have a huge laundry list of things it does cover? I'm dying to see it so I can answer these questions for myself. I have to admit I am impressed though, by the depth of knowledge and understanding people have of a non-existent law. I just wish that understanding would finally reach the point where people understood IT DOES NOT EXIST. I suspect it is a product of wishful thinking - like that caller to my office with the blown engine that really wants to be able to return the car for a full refund. The first call he gets Monday morning from me is not what he wants to hear.